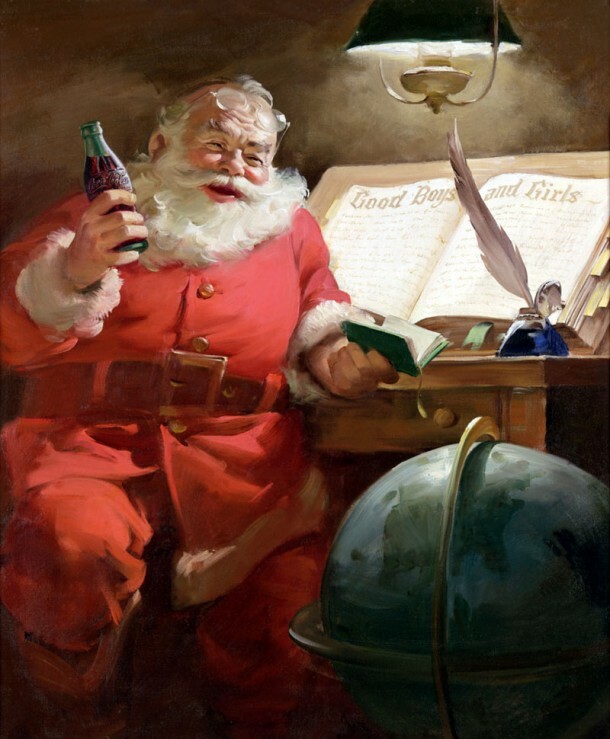 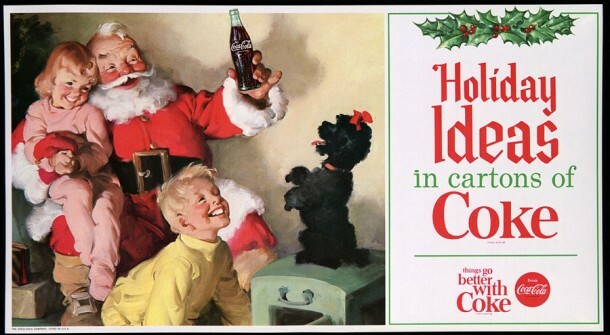 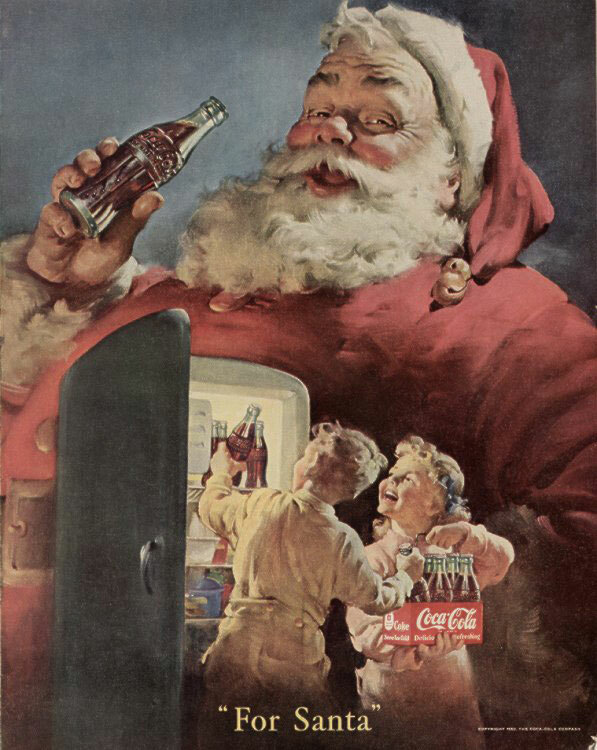 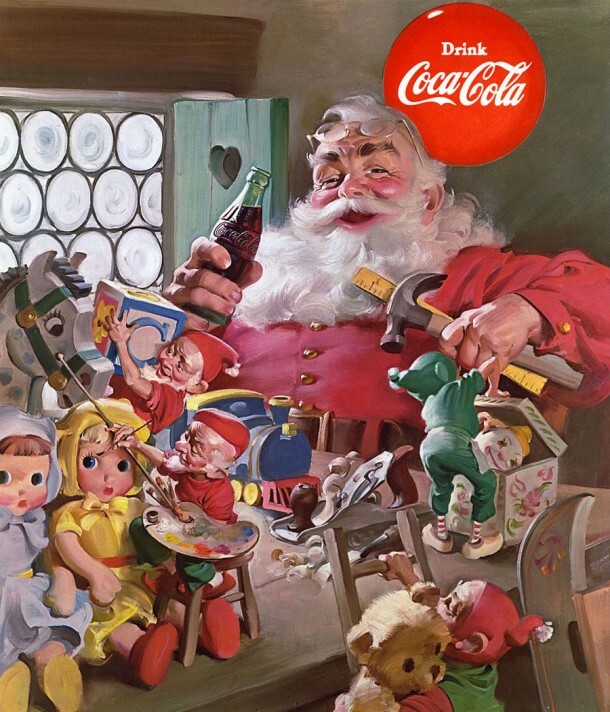 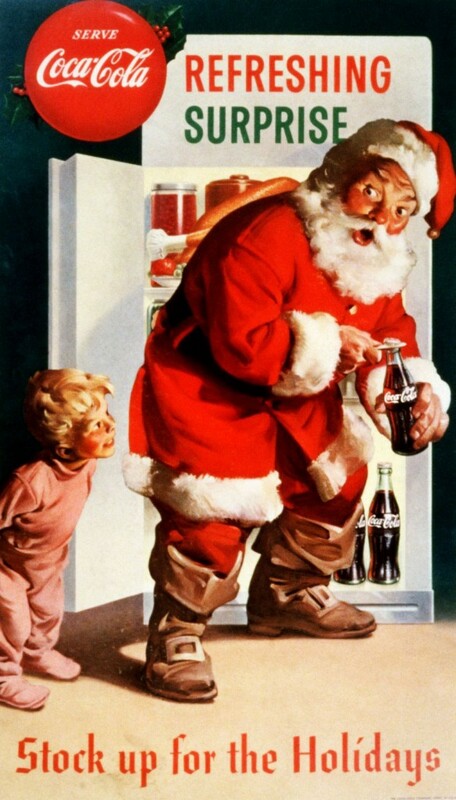 The Coca-Cola Santa Claus artwork from 1951 shows Santa reading a list of good boys and girls; there is no list of bad children. 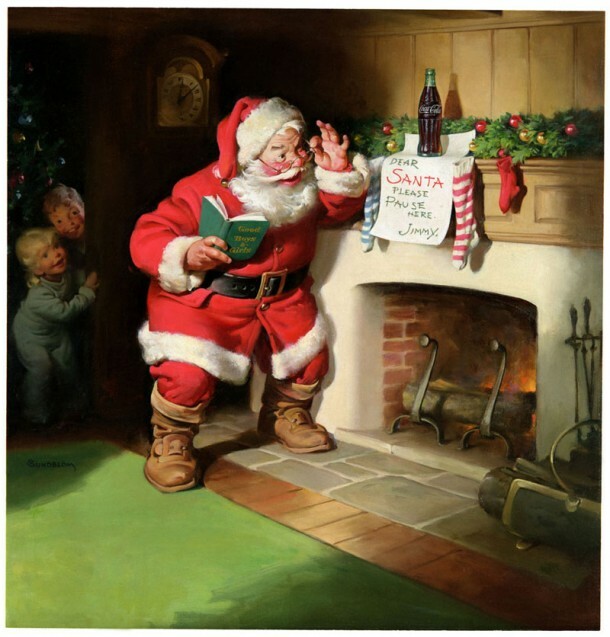 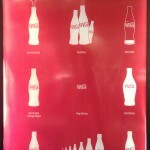 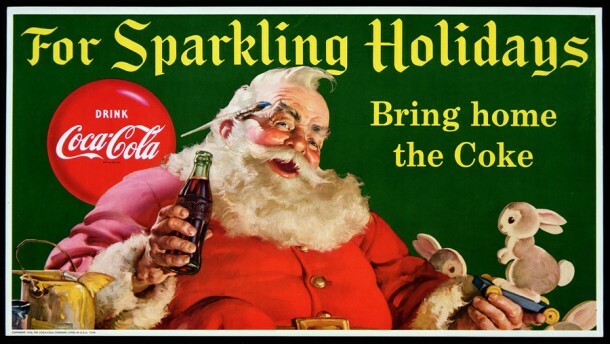 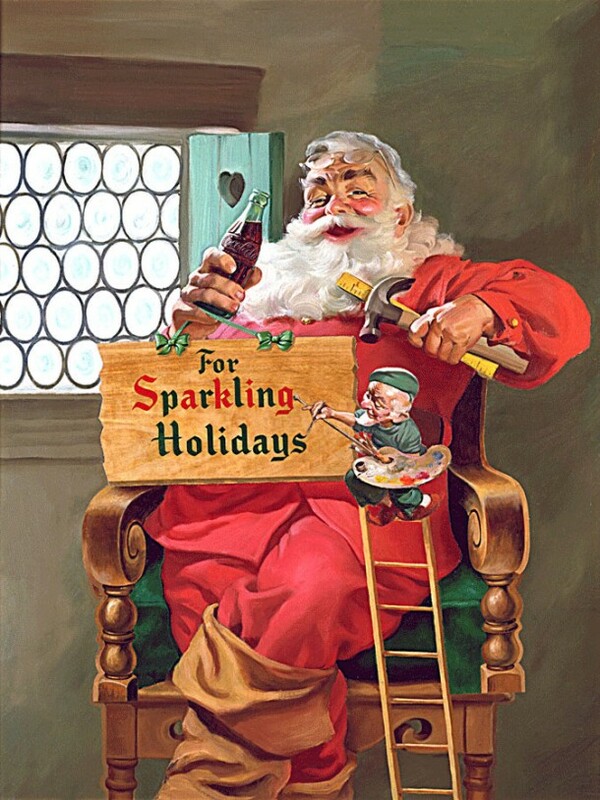 The 1953 Coca-Cola Santa artwork features one of the longest-lasting slogans in Coca-Cola history: The Pause That Refreshes, introduced in 1929. 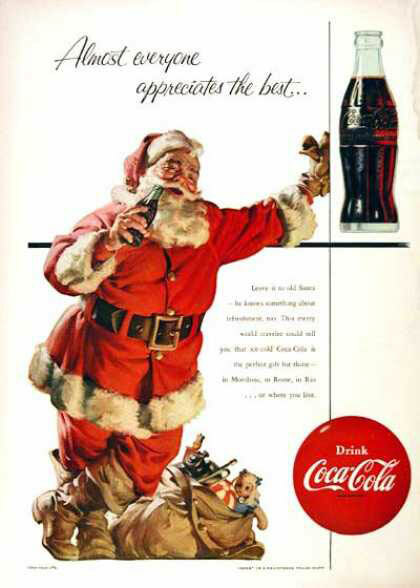 I have a 1949 copyright Travel Refreshed Coke Poster and was wondering what the value of such an item like this would be. 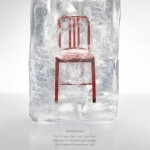 The condition is in my opinion is great.